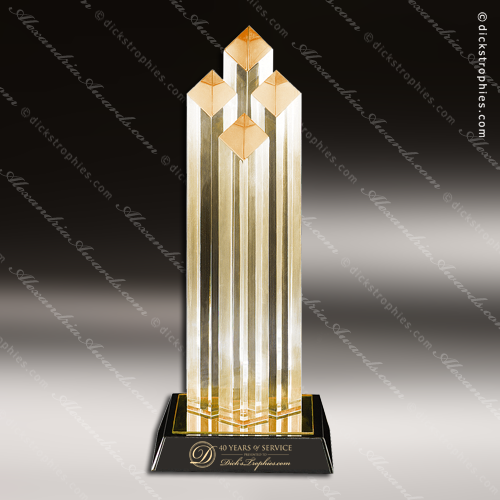 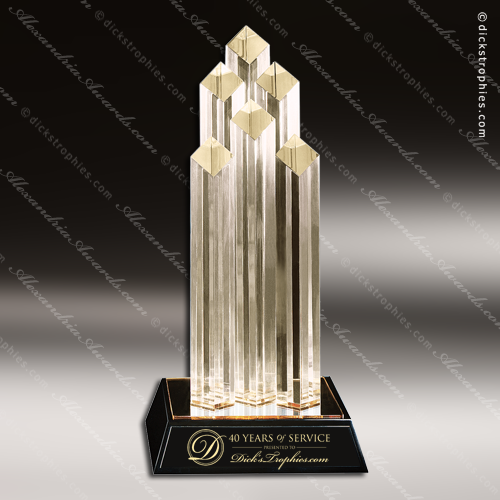 This Elegant Six Diamond Tower with Gold Reflective Base that makes an excellent employee recognition award, achievement award, sales award or customer appreciation gift. 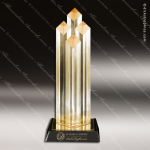 Engraving is laser etched and a velvet presentation gift drawstring bag is included. 5 1/4" x 6 3/4"